This MANTIS Studio version uses the Luna build of Eclipse. For more about what’s new in this build, see the Eclipse Help topic, in the Workbench User Guide, titled What’s new. Many user interface and navigation enhancements and as well as new features, most notably Split screen Editors and automatic support for multi-monitor set-ups. MANTIS Studio now includes the MANTIS Visual Screen Designer (MVSD). It’s a new, comprehensive, GUI-based screen design suite. With it, you can easily build and modify HTML5 screens intended for use with MANTIS Web. It has a built-in, integrated Help system. The MANTIS Studio screen editor now includes the MANTIS-specific Visual Design tab. When you click this tab: in the editor view, in a new tab, the MANTIS Visual Screen Designer (MVSD) opens on the screen editor’s open screen (.MSCRN) file. Note that in order to open the MVSD on an existing screen file, you must have generated XSL/HTML files (Style and Context files, and possibly a Parent file) for that screen file. The MANTIS Studio program editor now includes the MANTIS-specific Flow tab. The Flow tab view is intended to help you understand a MANTIS program’s logic flow. It’s especially useful if you’re reviewing unfamiliar code. This tab view displays a diagram with a labeled symbol representing each program statement, and connecting arrows showing the logic flow. When you’re using the MANTIS Studio screen editor to create or edit a screen (.MSCRN) file: for each MANTIS field that you define, in the new Widget Type drop-down list, you can now select a widget type. 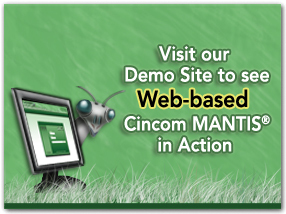 At runtime, the MANTIS Web interface will display this widget for the MANTIS field, and the user will use the widget to populate the MANTIS field. For example, you can choose a button, checkbox, or date picker (calendar) widget, or one of many other types of widgets. mLayout.css. Contains “layout” styles, which are styles related to the layout of elements in the display. Specifically, these styles relate to margin, position, spacing, padding, width, height, container sizes, alignment, z-index, and display setting. mTheme.css. Contains “theme” styles, which are styles related to fonts, colors, borders, backgrounds, and shadows. We recommend that you modify mTheme.less instead of mTheme.css. The mTheme.less file uses LESS, a dynamic stylesheet language that is easier to work with than CSS. When you save mTheme.less, MANTIS Studio compiles it into mTheme.css. The new MantisMenu menu type is now the default. This highly customizable menu system, developed specifically for MANTIS, transforms HTML unordered lists into menus. DynamicLess—Specifies whether the dynamic LESS runtime compiler is turned on. Dynamic LESS is useful for testing during the development process. It enables you to use LESS to make on-the-fly changes to dynamic styles. Legacy—Specifies whether Legacy Mode is turned on. Legacy Mode is a cosmetic setting that causes MANTIS Web to use an earlier, pre-3.4.01 and 6.4.01, legacy-style screen presentation. UploadDirectory—Specifies the name of the file upload directory. The file upload directory is the location where you send files, using the File_Input widget or similar HTML file-upload tools. For MANTIS Mobile, iOS is supported, in addition to the existing Android support. See MANTIS Mobile for iOS. MANTIS Studio and the MANTIS Server support OS X. The MANTIS Web and MANTIS Studio documentation, as well as the documents MANTIS Language, P39-1311, and MANTIS Administration, P39-1321, are now in HTML-format Help. This Help is accessible and searchable from the MANTIS Studio Help menu. See Overview of the Help-format MANTIS guides. The rest of the MANTIS documentation is still available in PDF format. You can access the PDF documentation from the Help. The MANTIS Web Application Programming Tutorial, no longer includes instructions for using the console (terminal) interface and exclusively supports the use of MANTIS Studio. This document is now in HTML-format Help, as well as in PDF format. MANTIS Messages and Code for MANTIS 3.4.01 is now in searchable HTML-Help format, as well as in PDF format. The new MANTIS Server Project Guide, P39-5318, describes how to use MANTIS Studio to create and work with each of the supported file types, such as screen (.MSCRN) files, internal file view (.MFILE) files, external XML view (.MXMLV) files, and so on. Enhancements include user interface and navigation improvements as well as new features, most notably Split Editors and automatic support for multi-monitor set-ups. The MANTIS-specific Flow tab intended to help you understand a MANTIS program’s logic flow. MANTIS Messages and Code is now in searchable HTML-Help format, as well as in PDF format. All documentation is now in HTML-format Help. This Help is accessible and searchable from the MANTIS Studio Help menu. Download the MANTIS Data Sheet to get further information on these features and many more. Explore the site to learn more about MANTIS. Contact us with any questions you have about MANTIS software, solutions and support. ©2019 Cincom Systems Inc. All Rights Reserved.